As someone who disapproves of sweeties being unwrapped too loudly at the cinema, I wasn't sure how I would take to the Czech National Symphony Orchestra playing throughout a screening of Back to the Future. Susan Welsh saw Eddi Reader at Eden Court, Inverness. Ever since I saw Cinderella performed by Scottish Ballet as a little girl, I was hooked. Within minutes of the curtain rising on opening night of Madagascar the Musical, the stage at Eden Court was bursting with colour, action and music. When star Paul Nicholls was unable to take part in a stage run of hit film Rain Man due to illness, the show's producers must have felt some concerns. 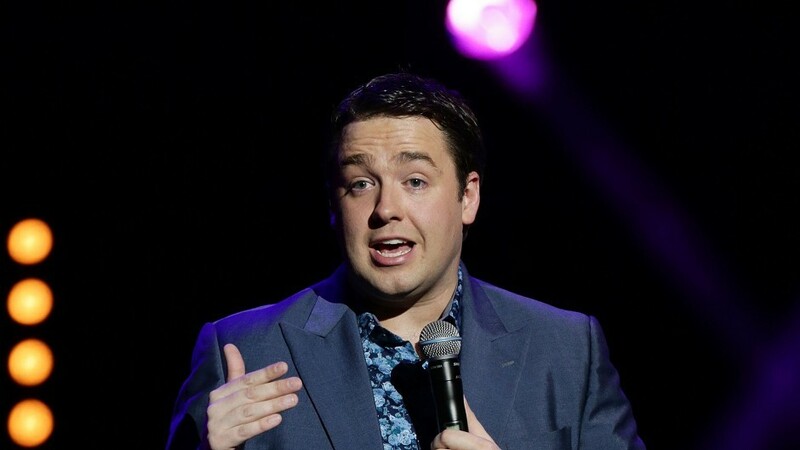 Top class comedy by 'muddle class' Jason Manford left Aberdonians in stitches at the weekend. Amateur dramatic company Inverness Musical Theatre (IMT) kicked off its Sunday shoes and cut loose in style to delight a large and expectant audience as its latest show – Footloose – burst onto the stage of Eden Court for a four-night run. When my parents handed me my brand new ghetto-blaster for my 10th birthday I had limited material to hand to try it out. No sooner has Christmas passed and it is birthday month in our house. None of us has ever dared attempt Dry January or count the calories, as every week there are celebratory meals out, copious amounts of birthday cake and of course a cheeky fizz! Bath-based theatre company New Old Friends has made a welcome return to the Highlands this week with a splendidly silly Agatha Christie-inspired murder mystery. You know you are ageing when you find yourself reminiscing about the good old days. And when you start believing things were much better in the past, you know you are getting on a bit. Airport hotels live in a peculiar world which revolves around flight timetables and guests arriving or leaving at speed and possibly without much expectation about the cuisine, such is the basic functionality of it all – a bed for the night and then off again on your travels. In Nish Kumar's eyes we are destroying ourselves and, during the politically fuelled hilarity of his show, I truly was killing myself laughing. The last time I was in the village of Strathpeffer it was with a friend from Austria. They’ve been having a whale of a time in Fortrose recently. "Why would anyone confess to a crime as serious as murder, which they could be sent to death row for, when they did not do it?" For me, steakhouses can be a hit-or-miss affair. Boasting a name like No. 1 Bar & Grill means they have a lot to live up to – after all, a kitchen or service mishap can leave a proud reputation feeling like a deflated souffle or overcooked duck. P-A-N-T-O. Trust me you will be singing this (to the tune of B-I-N-G-O) right up until Santa comes down the chimney. Isn’t it strange how you can sometimes get completely the wrong impression about a place. This first-class restaurant in the heart of Aberdeen has a name that isn’t easy to pronounce and everyone seems to pronounce it differently. On its website it even spells out Chow-pry-a, named after the main river in Thailand, Chao Phrya. A colleague was coming up to Aberdeen from Dundee and suggested some food and cocktails after work. Never one to miss an opportunity for an evening out, I suggested a fairly new bar in town, The Spiritualist. For the fourth night in succession I was in Eden Court reviewing a show. A cleverly concentrated new take on Macbeth played to a full house in the One Touch Theatre at Eden Court, Inverness. A standing ovation last night for Matthew Bourne’s Swan Lake at HM Theatre that the choreographer himself would surely be proud of. Had I been driven there wearing a blindfold – stay with me on this one – when the blindfold was removed, I’d have thought I’d been magically transported to the Swiss Alps. Don’t Cry For Me, Argentina. Well, it’s safe to say on this occasion I, for once, didn’t cry during last night’s performance at HM Theatre. Every weekend, I travel around the north-east of Scotland following the fortunes of my footballing son. Saturday morning is for school matches, and Sunday sees me cheering on his club team. Music is magical. It makes time travellers of us all. You know it’s a loyal crowd when the singer has to stop to allow the audience to chant the band’s name back at them. A huge, good-natured crowd gathered at the Northern Meeting Park to pay homage to veteran Scots rockers Simple Minds and fellow enduring 1980s stars, The Pretenders, on Saturday.